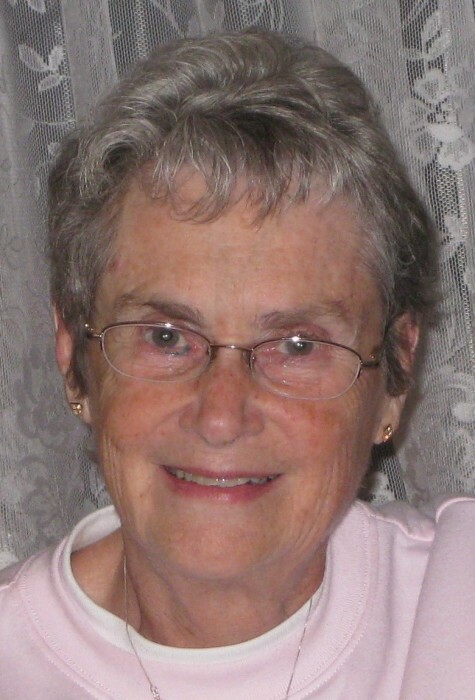 Jane Arleen Carlton, a lifelong resident of Painesville, died peacefully, with family at her bedside on Monday, April 1, 2019, after a valiant battle with cancer. Jane loved the Lord and is now enjoying His promises in Heaven. Born December 5, 1931, she was the daughter of Judge Albert & Ada Hayer. She worked at the Painesville Telegraph prior to marriage, then worked and retired from JC Penny’s in Mentor. She loved her family, reading, knitting, playing cards, walks with her sister, Nancy, and bird watching. Jane also enjoyed gardening and was known for her “green thumb”. She cared for her dogs and cats as they were always part of her family too. Jane married Orlo Carlton, Jr. in 1954, and raised seven children in a beautiful home along Big Creek on Fay Road, now the location of Liberty Hollow Park. She is survived by brothers, Jim Hayer (Gayle) and Tom Hayer (Patti); sisters, Nancy Parker (Myron) and Ruth Goundrey (Dave); children, Amy Carlton, Beth Seymour (Steve), Brian Carlton, Alan Carlton (Maureen), Todd Carlton (Bonnie), Teri Hlebak and Lynn Carlton (Sherry); grandchildren, Colin, Sarah, Rachel, Gabriel, Abbey, Dorian, Wyatt and Maeve. She was preceded in death by her parents; her husband, Orlo, and her sister, Carol Brace. In lieu of flowers, the family suggests donations to Hospice of Western Reserve, P. O. Box 72101, Cleveland, Ohio 44192 or to St Jude’s Children’s Hospital, 262 Danny Thomas Place, Memphis, Tennessee 38105. A memorial service will be held 7:00 PM, Thursday, April 4, 2019 at Spear Mulqueeny Funeral Home, 667 Mentor Avenue, Painesville, Ohio. Family and friends may call 4:00 – 7:00 PM, before the services at the funeral home.